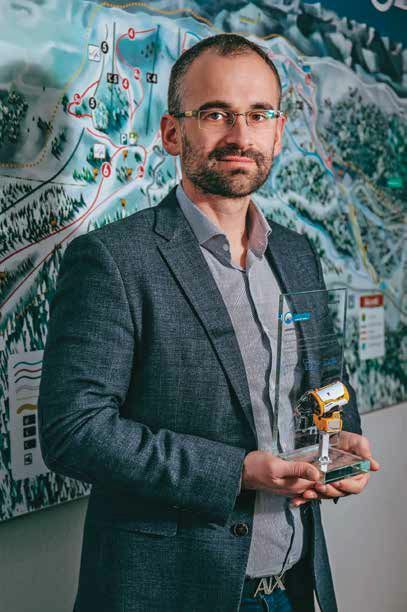 “With good ideas, an adequate team and a desire to work, success is really possible,” says Dejan Ljevnaić, Director of the Jahorina Olympic Center, who demonstrated on the example of Jahorina, what a good team, who has ideas, can do. Could you please tell our readers something about yourself? Who is Dejan Ljevnaić? What is your recipe for success? — I graduated from the Police Academy in Belgrade, after which I completed specialist studies at the Faculty of Political Sciences, also in Belgrade. 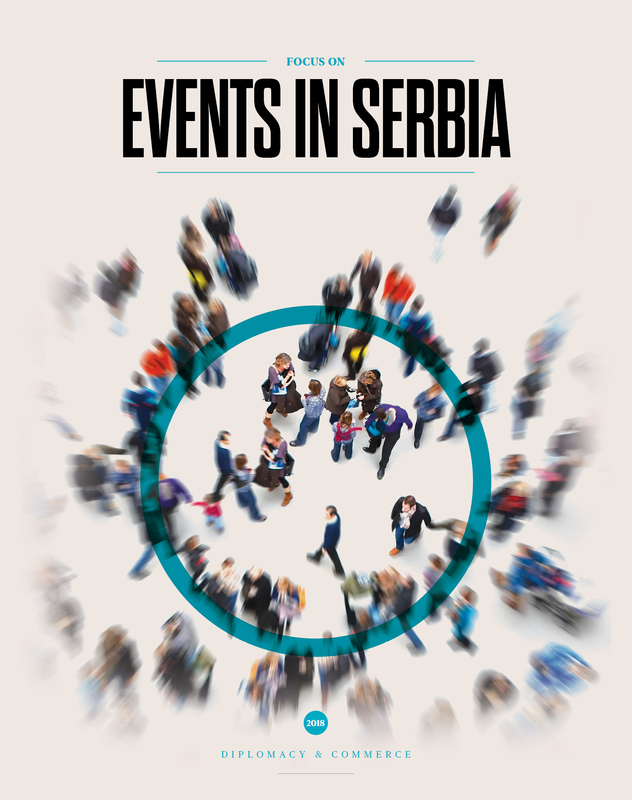 From 1997 to 2008, I worked at the Republic of Serbia’s Ministry of Interior, and from 2008 onwards, at the public enterprise Skijališta Srbije (Ski Resorts of Serbia), first as the executive director and later as director general. My career in managing ski centres is over 10 years long and I have to admit that, during my career, I had ample success and received a lot of recognition. The secret of my success with Jahorina, which was not coincidental, is, first and foremost, a long experience, constant education and training and picking the right people for our management team. Knowledge is the most important thing in this line of work because mistakes cost dearly. I have been travelling a lot, and still do because that is what my job of a manager entails. Together with my team I have visited many ski resorts around the world, talked to the people there, learned from best examples and devised my own approached, adapted to our environment and the needs of our people. When you are a skier and see everything from that perspective, the ideas come by themselves, regardless of where in the world you are. I think that the main thing in this job is to be a good host, and to take care of every little matter, every cost and every possible saving. What novelties did your team bring in terms of managing the ski centre and how satisfied are you with the season that is behind us? — I think that, together with my team, we have brought a new approach to business and guests, and we have implemented very important projects for Jahorina. Still, there is a lot left to do. A snowmaking system, which, for the first time ever, guarantees that Jahorina will have at least 120 days of snow annually, is the biggest project implemented in Jahorina ever, apart from the 1984 Olympic Games. Thanks to the state-of-the-art snowmaking system we built this year, we were the first in the region to open our ski slopes to skiers on November 29th. Skiers, ski slopes and, of course, the popularization of skiing in children and youth are our priorities. By „ski slopes“ I mean slopes that comply with FIS standards, homologous, smooth, wide, with new signalling, protected by wind- breakers and pressed to the highest possible standards, which, after we carried out the works, are 40km long. By „skiers“ I am referring to everything that creates a comfortable feeling for skiers on the mountain – the newly opened sales outlets, two new ski courses for beginners, 1,000 new parking spaces, heliport, Olympic circles, Olympic podiums and comprehensive entertainment and competition programme. All the parameters that we are monitoring show that we are having the most successful winter season on Jahorina ever. We have already had a millionth pass on Jahorina in mid-season, and 7 days into the season, we recorded the most visited day during the current season when 6,000 visitors skied and snow-boarded on Jahorina. Soon, we are going to have a two-millionth ride which is unprecedented in the history of Jahorina. Selling the Bistrica Hotel to the Swiss investment fund, Batagon, is another good move that we have made. They are planning to invest 30 million euro in the hotel. In terms of numbers, we can boast unprecedented good results. On the day when we did the last review, we have come to the conclusion that we have surpassed the revenues from the entire ski season in 2017 by over 100%, as well as relative to the entire last season. The number of skiers grew by over 150% in relation to the entire season, and the number of rides by over 130% relative to the entire season. How much did the habits and needs of your visitors change over time? What do they want now? — Today’s tourists and skiers are, first and foremost, big hedonists who expect and strive for perfection in every segment at a tourist destination. I think that Jahorina now has that, but we can also boast the best price-to- quality ratio in the region. 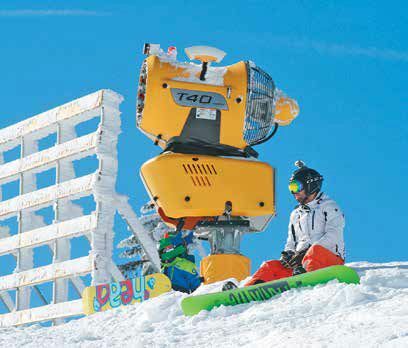 I can say with certainty that our skiers on Jahorina receive service of enviable quality considering the invested funds. We also compared prices at ski centres in the wider region which showed us that we were the most affordable and that we provide the best service and the best experience for skiers. In comparison to Serbia, our ski pass is cheaper by almost 50%. I think that Jahorina can now satisfy, even surpass the needs of the most demanding tourists. However, our excellent package which includes a good price can be adapted to those skiers who are not that well off. The construction of the Technoalpin snowmaking system has extended the skiing season. What potential does Jahorina have for becoming an all-yearround destination? — Our goal is for Jahorina to live 365 days a year because it really has the potential to provide visitors with a special kind of pleasure, relaxation and entertainment all the time. After we have maximally extended the winter skiing season with the snowmaking system, we are also planning to extend our summer activities, primarily adrenaline-packed ones, as well as provide additional entertainment and competitions, concerts, and races that could be just for fun, competitive ones or the ones that have a humanitarian character. To be more precise, our plan is to build a mountain coaster that will stretch from the mountain’s summit all the way to the lake and then to the foot of the mountain, i.e. the Poljice plateau. This will be a real summer attraction. At the very top, next to the lake, we want to put up benches and little houses, as well as open restaurants so that visitors can enjoy Jahorina during summer too. In the central part of the ski resort, we are building an adventure park that has adrenaline-packed activities. What can your event marketing service offer to visitors who don’t ski? — Event marketing is an indispensable part of a ski centre. Guided by the principle of creating a rounded-off ambience for the skier, we come up with an idea to have a series of concerts and events for all tastes. Jahorina is still frequented by non-skiers, so we have provided fun for everyone so that they leave satisfied and with a desire to come back as soon as possible. So far, we have had very successful concerts by Ceca Ražnatović, Crvena Jabuka, Lepa Brena, Nikola Rokvić, Aca Pejović, Dragana Mirković, Nikolina Kovač and Dejan Petrović and his Big Band, as well as EXIT Festival. As you can see, we have covered all musical tastes and trends since we are trying to transform Jahorina into a mountain for everyone. We are also planning to hold a big humanitarian concert at the end of the season. I still cannot reveal who is going to perform but you can trust me when I say that, once more, Jahorina will be known as a mountain with the best entertainment in the region. 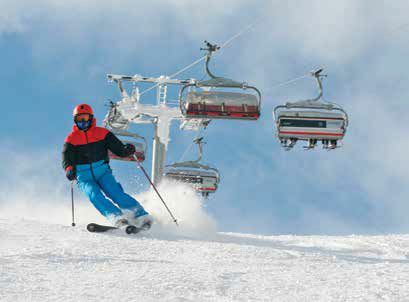 Although spring is coming, Jahorina’s ski slopes are still functioning perfectly and have 60cm of snow, even after 100 days of use. I would also like to announce that our snow idyll is going to last until April. Apart from warmer weather, sunny ski slopes, and the fact that days last longer, special discounts are another benefit that our visitors can enjoy. Following Women’s Day, on March 8th, when all ladies skied for free on our mountain, I would also like to announce our Paradise Discounts on Mondays, Tuesdays and Wednesdays, that will go up 40% and last until March 11th. Then we have the third promotional weekend, from March 28th to 31st, when discounts on all ski passes used in the aforementioned period will be 20% cheaper. This year, Jahorina has truly lived up to its Olympic reputation that the mountain has been known for since the XIV Olympic Games that took place here. After 100 days of the best season ever, we are continuing to provide interesting activities and content. I would also like to announce an event that is great fun – its’s the adrenaline-packed competition Red Bull Home Run, that takes place on March 16th, as well as Snowmakers Days, from March 21st to 23rd, which will assemble the most renowned individuals from the ski world on Jahorina. April will also be full of interesting events – from additional discounts on ski passes and veteran race to humanitarian concert. In terms of the next winter season, we are going to strive to improve ourselves in every business segment. Our goal is constant improvement and following trends in world ski centres. One of the plans for the next winter season is to construct a gondola lift and new ski slopes. Having a gondola lift would be great progress for Jahorina which would increase our capacities for vertical transport.